When looking for homes for sale in Howard CO, located within Fremont County, First Colorado Land Office has the experience and knowledge to help you find the perfect home. The Acres of Ireland subdivision is a great place to start a family or retire as there is numerous things for everyone to do. Acres of Ireland Subdivision, in Howard, Colorado, consisting of 129 parcels of land, is located on a plateau with spectacular views of the beautiful Sangre De Cristo Mountain Range. Numerous properties overlook the Arkansas River Valley. The properties vary in size from approximately 1&1/2 to 14 acres. There is a wide variety of types and prices of homes and treed or open parcels. BLM government land adjoins the southwest side of the subdivision and has good access for everyone to enjoy for hiking, camping, horseback riding etc. The 5-acre park at the center of the subdivision is a great community asset and gathering place. 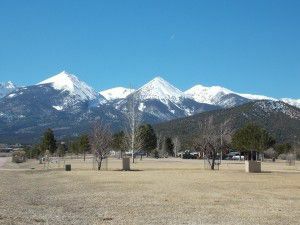 It is a short 20-minute ride to Salida, to the west, and about 1-1/2-hour drive to Colorado Springs or Pueblo, to the east. You can be fly fishing, kayaking or rafting on the Arkansas River in less than 5 minutes or skiing at Monarch Ski Area within 45 minutes. Homes and vacant land are reasonably priced in comparison to other adjoining towns. Be sure to contact the experts at First Colorado Land Office to find the home you are looking for in Howard, CO. Give us a call at 719-539-6682 or email us at realestate@firstcolorado.com.